The Tiger Simulator 3D game is a mega stress reliever, especially if you’ve ever felt the pent-up aggression of everyday nonsense. You can come home, kick off your shoes, grab a snack or two, and sit down to transform into a brawny beast. One that evokes respect, fascination, and fear in those that encounter it. This game puts you in the shoes…err, paws, of a gorgeous, ginormous, strong tiger. One that roams the wilderness with a pack of likewise intimidating and amazing creatures. It’s a chance to step out of your world for a little while. 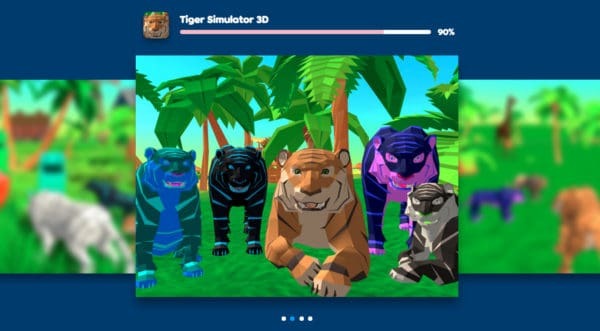 Tiger Simulator 3D is simple in concept and complex in design. The third-dimensional graphics make the game super-fun to play, while the objectives are set by the tiger’s basic animal instincts. Survive, thrive, feed, and evolve. Those are the tiger’s base needs; the ones that you have to work on to improve throughout the game. Your biggest mission is to become the apex predator and the ultimate superior in the animal kingdom. This means hunting down prey, attacking enemy wildcats, and keeping your wits intact to avoid losing your life to any animal that threatens your power and pack. Sounds fun? So make sure to check out Tiger Simulator 3D on Poki now. Growing a tiger doesn’t sound quite right, but that’s the gist of this game. You evolve your tiger from a typically strong and beautiful beast, to a full-on, totally epic, dominant creature of the jungle. When you eat, you gain strength. Your growl and prowl could be enough to keep your lesser enemies at bay but beware of other wildcats that seek to claim your pack and power. Tigers in the wild go through hunger and fights, but they grow and flourish from those things when they survive. This is precisely what the Tiger Simulator 3D game mimics. As you [your tiger] goes through these untamed obstacles, you and your pack will go stronger from those experiences. In the animal kingdom, for predators especially, status means everything. Tigers often have to prove themselves to be leaders of a pack or find a mate. 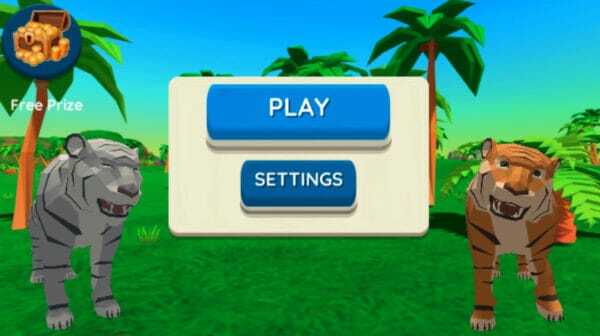 In Tiger Simulator 3D, your tiger will face challenges to improve their status and gain top ranks in the animal kingdom. Some of these challenges are simple enough but can be hard on your energies. Swimming through gold hoops might seem like an easy task, but tigers, even super-strong ones, will get exhausted eventually. The best way to complete these challenges is through focus, determination, and assured movements. Know what you have to do and how to attain your goal. Then move your tiger swiftly to accomplish the challenge before it drains your energies and brings down your predator status. Some of the best, most fun parts of Tiger Simulator 3D are the customizations. As you travel the wilderness, you are offered challenges, fights, and random events to earn coins and points. 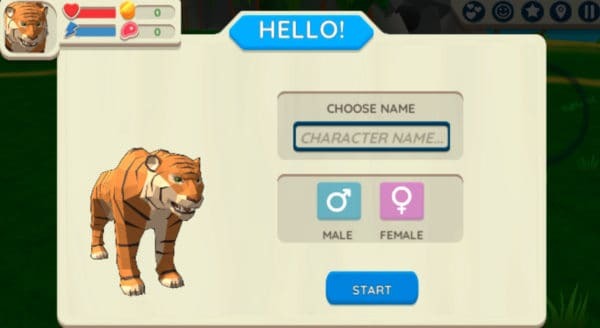 When you reach a specific number of coins, you can purchase a unique customization that sets your tiger apart from other wildcats. For example, you could color your tiger’s coat in vibrant tones with vivid stripes. Or, you could accessorize with a cute hat, a silly mask, an intimidating crown, or a colorful beanie. Every tiger comes with a pack—or a family, if you prefer. Your tiger family is very important, as these fellow tigers help guide you on your quests. They also help you hunt better, survive longer, thrive, and become stronger—all to see you gain the role as superior in the animal kingdom. That said, there are several ways you can nourish and nurture your tiger family. One of those ways is through earning coins and points, then using those to purchase pack skill upgrades. When you make a purchase of an upgrade, which could be strength, hunting prowess, energies, or agility, then your whole pack receives the same level-up. This makes you and your whole family stronger as a single, unstoppable unit. The prices for these upgrades increase with each upgrade. For starters, an upgrade of your pack’s strength might cost 40 coins. But that can double when you want to upgrade again. Which means you have to work harder to become stronger—just like a real tiger would. Gameplay is simple enough to master with the click of your mouse and the press of a few keyboard buttons. 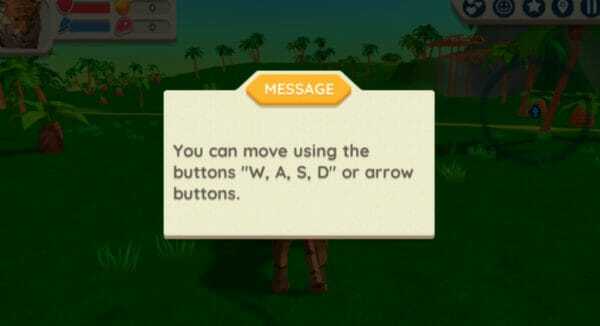 WASD controls your tiger’s movements: forwards, backwards, and side to side. The spacebar is for jumps, with a double-tap for higher leaps. To scroll through rules, messages, or options, use your right mouse button.